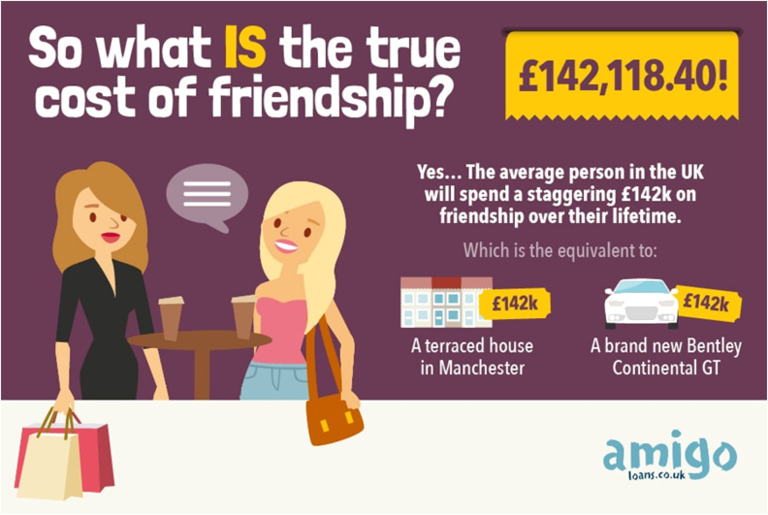 How much do your friends cost you? We all love socialising with our besties, but do you ever get the feeling those impromptu nights out and weekends away are taking a toll on your bank balance? Well, you could be right. 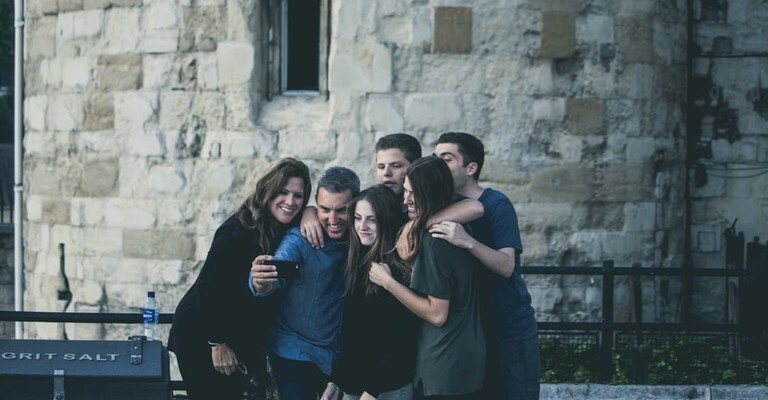 Amigo Loans has discovered that when it comes to spending time with your partners in crime, the average Brit spends a whopping £2,368.64 each year. All those birthdays and leaving dos add up! Whether it’s down the pub or in the club, it’s clear that both sexes enjoy socialising with friends. However, when it comes to the amount we spend each month, we can see that men splash more than 20 per cent more cash (£76.21) than women (£60.59). However, both of these figures don’t just take into consideration the physical cash spent each month. Two in three women say they have lent their friends at least two items of clothing that they don’t expect to be returned, with one in three women admitting to not receiving their clothes back. While men might not be as open to lending out shirts to their friends, our study showed that they tend to be generous with other personal property. Figures showed that 53 per cent of men regularly loan money to friends, closely followed by CDs, DVDs and blu-rays. Like women, 42 per cent of men confessed to never getting these back from their mates. If you’re beginning to realise that friendships can be expensive, you’d be right. Buying friends drinks, doing favours and lending out items equate to an additional £392.60 a year – an average of £32.72 a month! 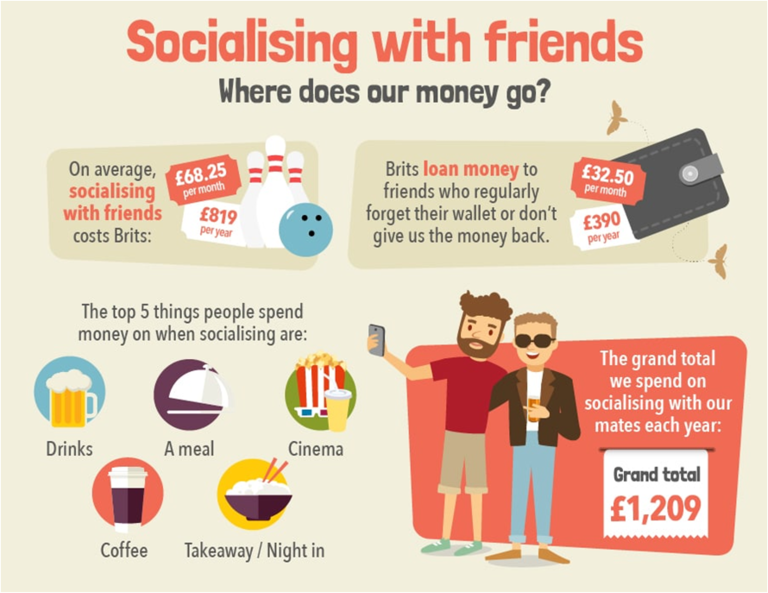 Our survey showed that men, in particular, confessed to regularly lending their pals money (an average of £36.10 a month), with one in three claiming that some of their friends regularly “forget their wallet” when going out. The old ones are the best, hey lads? Is there a certain age group that lends more than others? Well, according to our results, younger generations believe they are more generous than the over 55 age group, with twice as many 18-24 year olds (14 per cent) claiming to dig deep regularly. Over the course of year, how many events do you attend? If you’re like most, we imagine it’s quite a few. On top of general socialising, our study found that Brits attend an average of one stag or hen do (with an average cost of £250.00), one wedding (avg. cost £377.00), one holiday with friends (avg. cost £400), two birthday drinking sessions (avg. cost £80.00), one leaving do (avg. cost £20) and one children’s party (avg. cost £30.00). Cumulatively, this is likely to cost you around £1,157 a year!